Lining Side: 2 inches wide by 26 inches long. Fur Side: Approximately 6.5 inches wide by 28 inches long. 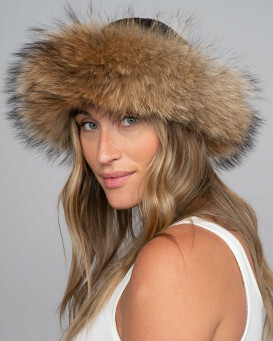 Not only will your ears stay warm in the Finn Raccoon Fur Headband but you'll also look extremely chic. The headband attaches at the back with velcro allowing this hat to be adjustable for any size. 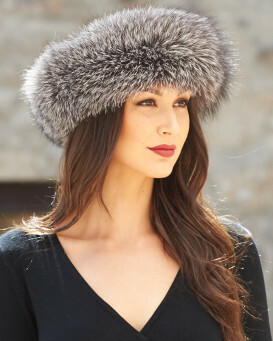 You will look like a true ski bunny in this headband and have warm ears all at the same time. 4.5 / 5 from 43 customer reviews. "I use as collar and suits most coats and knitwear. I love it.. excellent price for such a luxe product. It is a little short so is collar or headpiece size. My ideal would be two together for ultimate impact. Love website have bought lots and will return." "Very pleased! 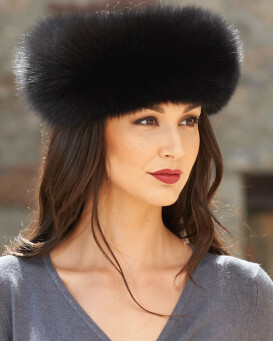 A beautiful fur headband. Definitely will purchase again! Thank you!" 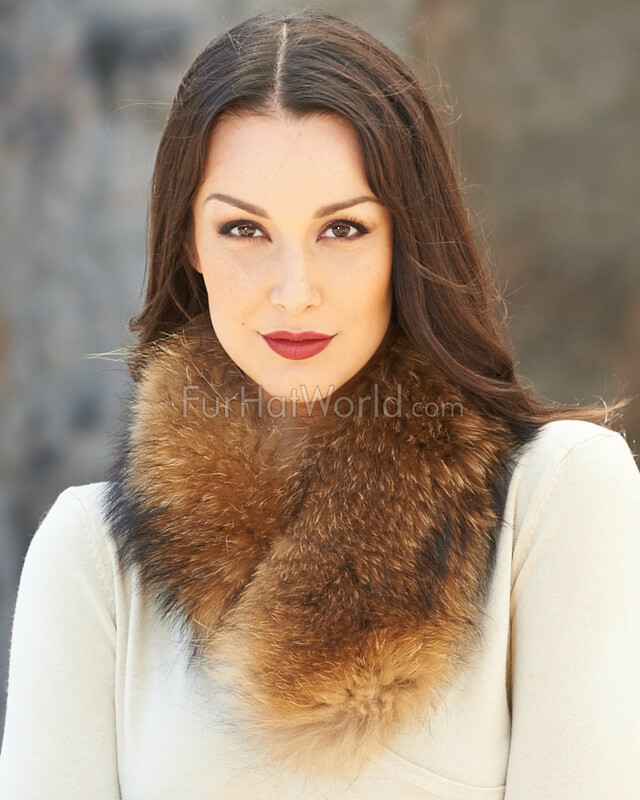 "great for keeping my neck warm.Looks luxurious.The shipping has always been very efficient. Will be back." "I love this classy headband! The headband has quality fur! I love that It is adjustable! I get so many compliments! The shipping was extremely fast the U.S. I will purchase in the future!" "It looks luxurious and feels so soft and yes we do get cold weather in Australia to warrant buying this great item"
"An excellent buy! Collar was made to very high standard and looks great on my wife. Very good web site and was easy to use." "I Love It! Always wanted one, very well made. Fast delivery."